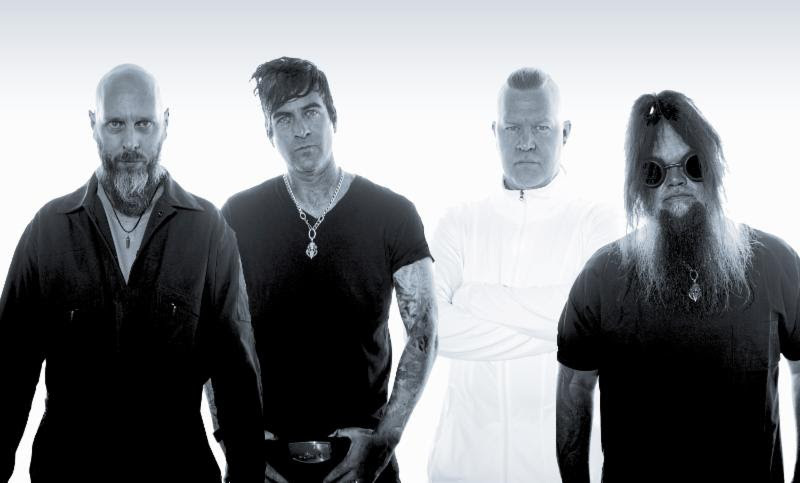 AUDIOTOPSY, the American heavy rock quartet featuring the deft musical talents of guitarist Greg Tribbett and drummer Matt McDonough – both of Grammy-nominated metal band Mudvayne – as well as Skrape vocalist Billy Keeton and bassist Perry Stern, will release their second full-length release, The Real Now͟, on November 2, 2018 via Megaforce Records. Self-produced with vocal production and mixing completed by Dave Fortman (Evanescence, Slipknot, Mudvayne), The Real Now is available for pre-order now via Amazon, and will be available via more digital retailers very soon. New music is set to be released in early September. AUDIOTOPSY began writing together in 2014 with the goal of setting themselves apart with their songwriting and dynamic presentation. Upon quickly recognizing the chemistry, they began the journey of recording their debut album, Natural Causes. Metal Injection praised the album’s energy, describing it as “remarkable”, while Metal Wani called it, “a welcome surprise to the metal scene” and New Noise Magazine dubbed it, “an artfully inspired rock and metal mixture”. The Real Now builds upon those praises, and then some. Featuring both fast-paced headbangers and melodic, grooving anthems, The Real Now conjures nostalgic turn-of-the-century alt-metal influences while never sacrificing crystal clean, modern metallic drive and swagger. Heart-clenching vocals and unforgettable guitar riffs grip the listener from track one. Tracks like “Panic On The Airwaves” and “What Am I?” summon deep, numbing grooves while driving anthems like “Hologram” feature non-stop power rhythms and energy. No AUDIOTOPSY release would be complete without a melodic climax, which comes in the form of the chill-inspiring track “Hurt Down”.